The Czech Dutch Chamber of Commerce (CDCC) has the pleasure of inviting its members to a golf tournament organised jointly with its patron member Andersen Tax & Legal. 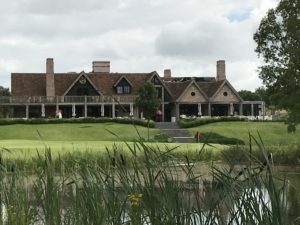 Participants can look forward to playing at the 18-holes Duke business golf club and benefit from a unique opportunity to network with other players from numerous companies in a relaxing environment of the golf course. Winners will be announced straight after the tournament. A challenge cup “The Duke Trophy” for the overall winner was designed and produced by AJETO, the Czech design glass company and a member of the CDCC. The last year’s winner will hand over the challenge cup to the 2019 winner. After the winner award ceremony the participants will enjoy an exclusive dinner and an opportunity to network in the golf club. To take part in the golf tournament please register using the below form. We will contact you afterwards with further details.